United Kingdom is just next to our door. The island is definetely expensive! Even before entering British territory you have to spend a lot of money. By car it is just a few hours drive to get to the green island. 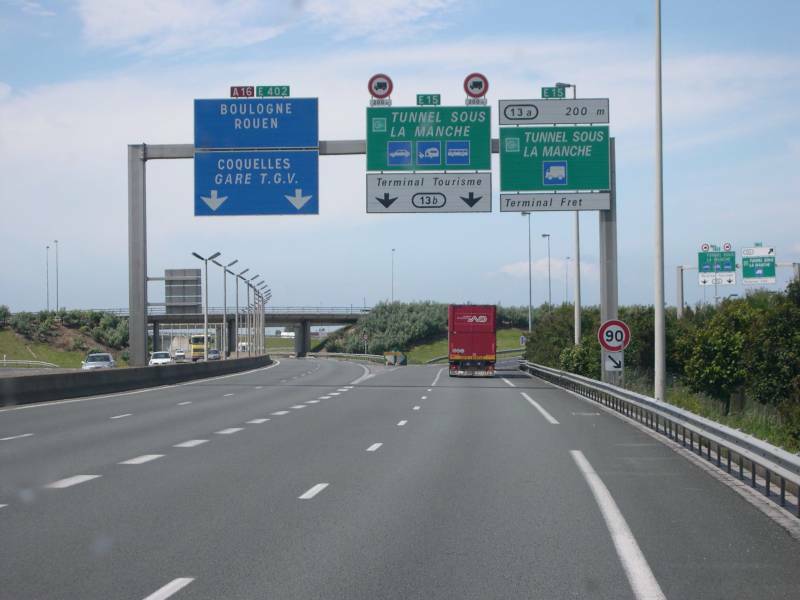 The fastest link is the Eurotunnel. 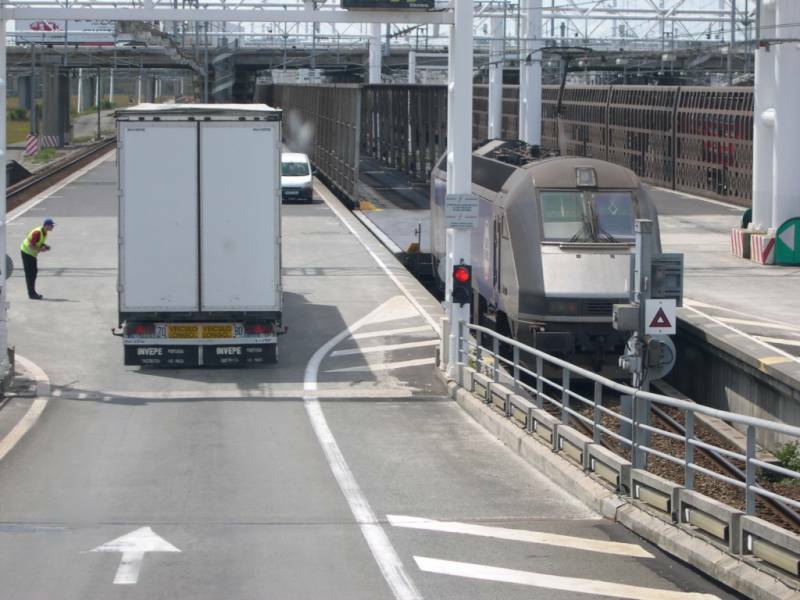 Simply leave the motorway in Calais / France, check in at the terminal and enter the train. After 35 minutes you will reach England. It is recommended to compare the fares in advance to achieve a good price. In 2005 I had to pay € 240.- for a single trip, a return ticket was just € 60.- more! Taking the ferry is also not cheap - just compare. 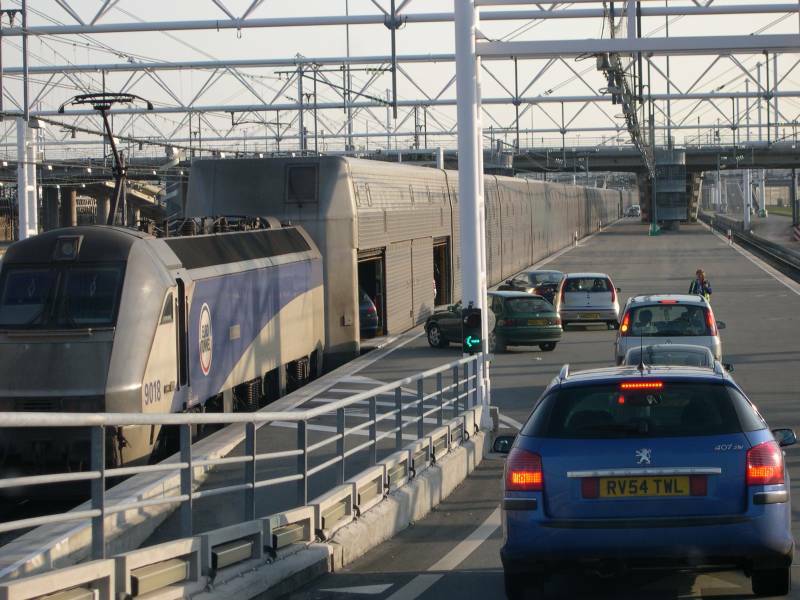 The Eurotunnel is well displayed. Cars use closed wagons, passengers stay inside. Trucks enter open wagons, drivers are picked up by a minibus and spend the trip in an extra wagon. 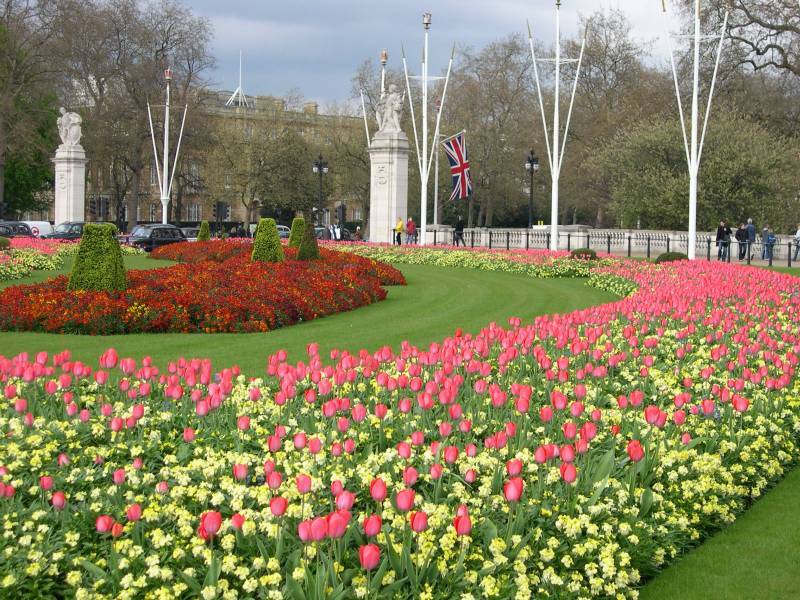 You should use public transport to discover London. Leave your car somewhere outside the city center since you have to pay toll for downtown and parking is very expensive. 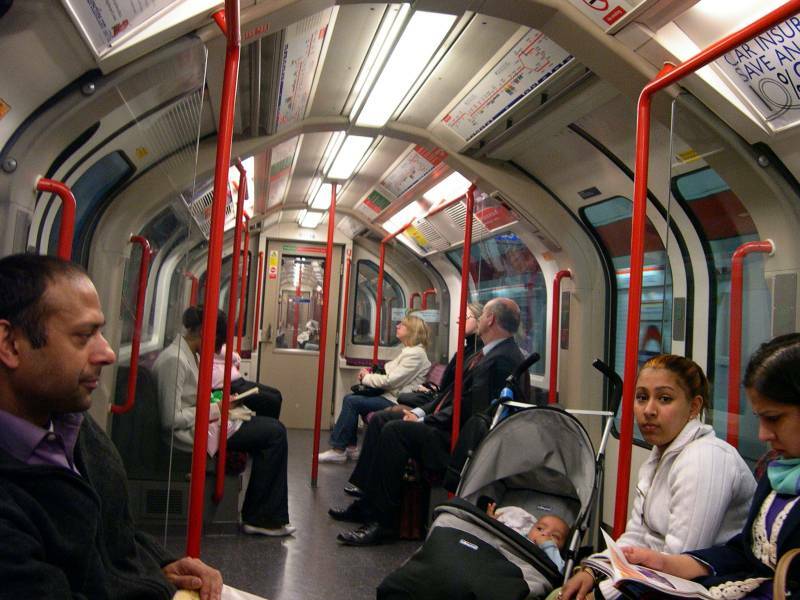 Underground trains take you from far outside where you can park your car on a P+R. 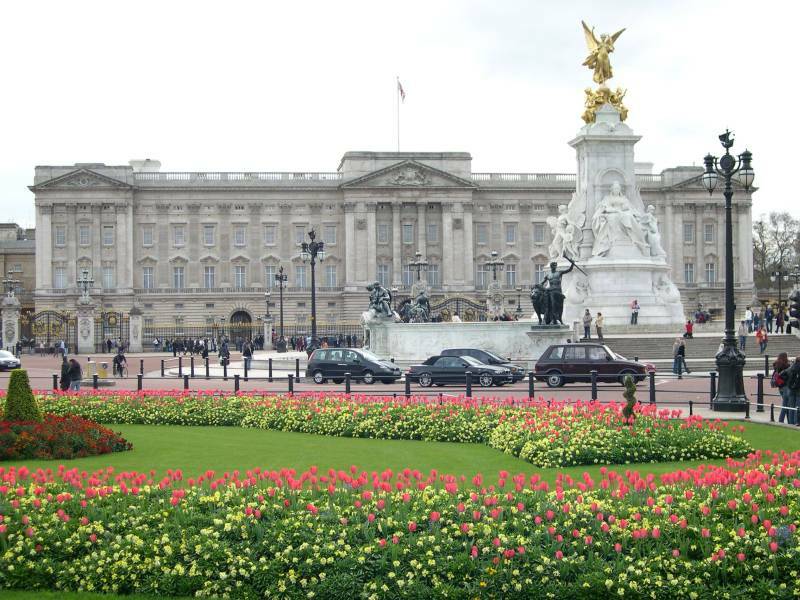 The decent house of the Queen - Buckingham Palace. 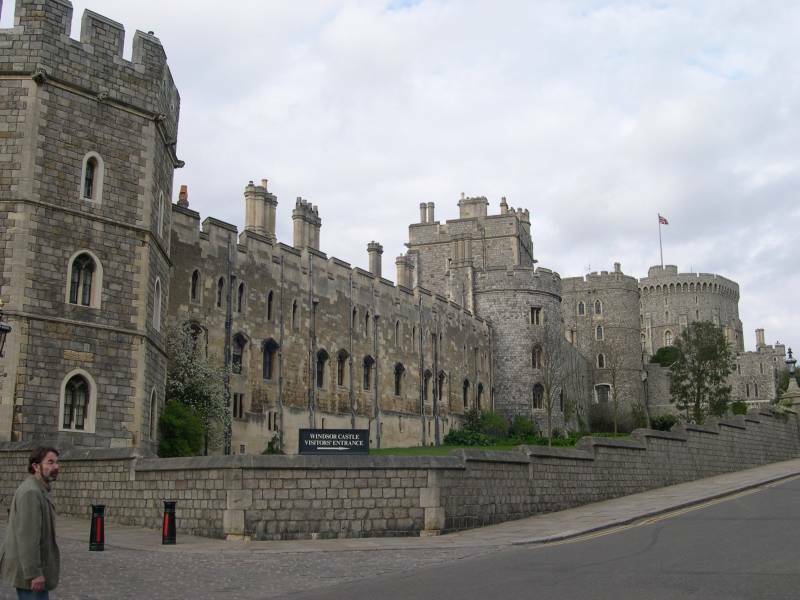 When she is sick of her palace, there are several alternatives - just like Windsor Castle, a few miles west of London. There is a wide spread underground net in London. It is already 100 year old and quite narrow for today's circumstances. The tubes meet on several levels, so that you may lose your bearing. 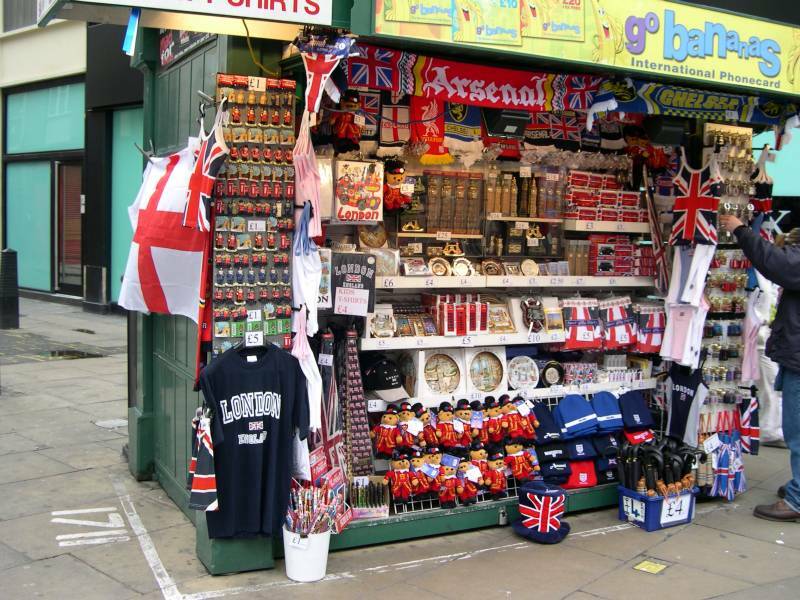 One of the countless souvenir shops. 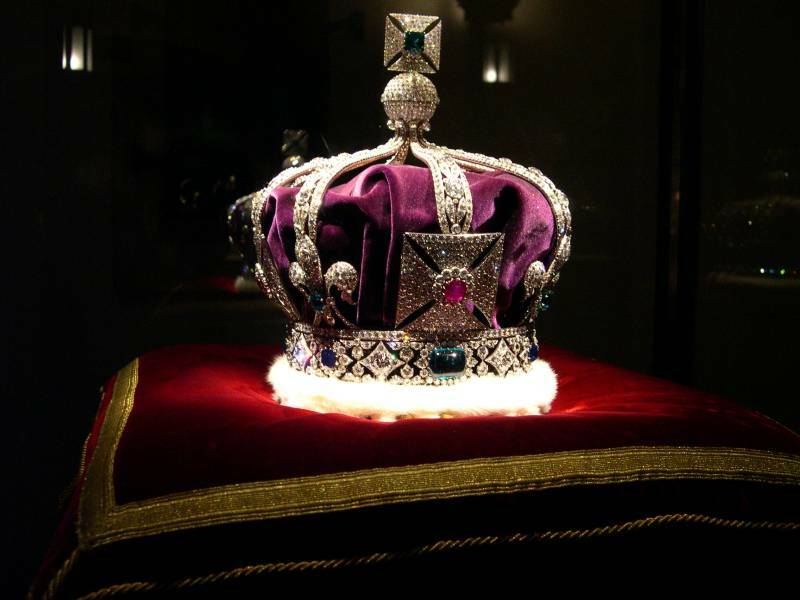 Crown, displayed in the Tower of London.